I thought I’ve told ya I’m a star! Well at least my highlighter is stealing the show! When it comes to taking the perfect street style photo one thing we could never go without is a good highlighter, it just helps to light up your pictures and makes those cheekbones pop. We are currently loving that high (lighter) life and are lucky enough to have tested a whole bunch of them! So to make it all a whole lot easier for you, here are our 3 favs to will suit any budget and can be used for any occasion. Make up by our amazing friend Riri from Riri Make Up. 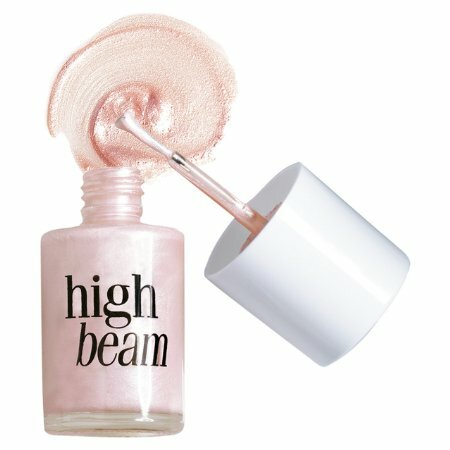 This liquid highlighter can be used as a spot highlighter or blended around the entirety of your face for an all-over shimmer. It is an extremely moisturising formula, so it can be used anywhere and everywhere on your face to hydrate and soften your skin without drying it out. The powder feels super soft to the touch and very finely-milled – no chalky mess here. There’s some shimmer there, but because it’s so finely-milled it just gives a beautiful, believable glow. It is definitely my everyday high lighter fav. The Manizer highlighter product provides users with an immediate youthful glow that blurs skin imperfections, wrinkles, age spots, and fine lines. It offers a warm colour that naturally blends in with your skin tone to appear as though you’re not wearing any product at all while still providing a subtle glow. A great highlighter for brown skin.